The roofing industry is experiencing a state in which more new materials are being introduced to the market. Some of them are eco-friendly while others may seem to be more costly. More and more people are going for commercial flat roofs, but you must make sure that you are getting what you want in a roof. The market has three types of flat roofing materials. Even though these materials tend to be more expensive than the other alternatives, they are undeniably worth your investment in the long run. In this article, we will be looking at the commercial flat roof installation and renovation in the market. Flat roof roofing materials are normally measured in ‘squares’ or square feet. The pricing tends to vary from one retailer to another. However, professionals commercial flat roof installations coupled with routine maintenance can make these roofs to last for up to 25 years or even more. The most important thing is to choose an honest or reputable company like Roofing PBC for flat roof repair and installation services. This is a single-ply roll roof material that has a mineral-based exterior infusion. 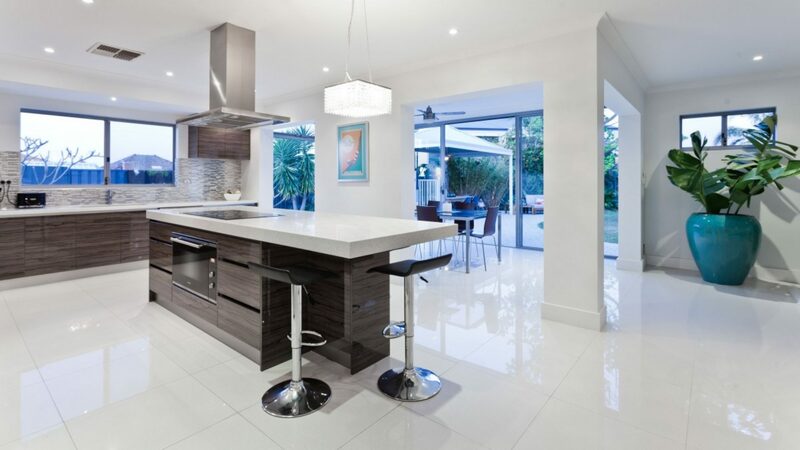 The material is home-owner friendly when it comes to the installation process. It has stick-and-peel versions just in case you want to install your personal new roofing. The market also has the versions that you need to use professional equipment to install. The process entails heating the adhesives as the material continues to roll out. This material is popular because it has light colors exterior that reflects heat and this may reduce the energy bills. The material also has a moderate pricing right in between what will cost you for the other roofing materials. The application process id fire hazard and hence you can install it in a property that is already occupied. One of its challenges is that it is not resistant to tears and scuff marks. It remains to be one of the top commercial flat roof installation materials that you can get in the market. This material is a common gravel and hot-tar roofing material that you see on several commercial properties and homes in the city. The assembling process has 3 or more alternating plies of ballasted gravel, hot tar and waterproof materials. Nowadays, this roofing materials is manufactured using more advanced materials such as fiberglass membranes. Before this invention, has tar paper used to be the main component. 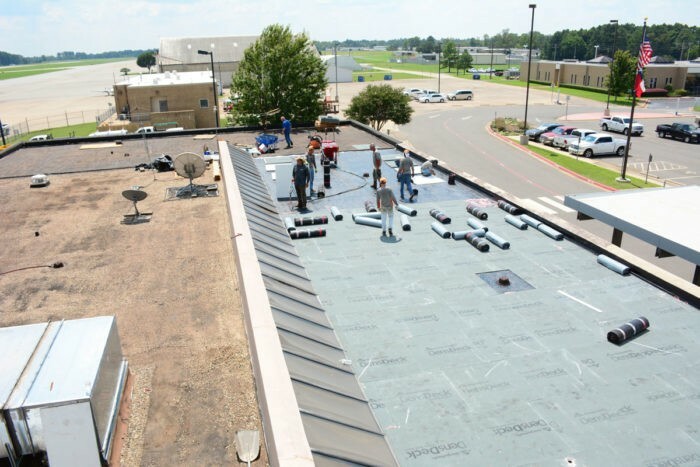 Even though the installation process is heavy, messy, and smelly, built up roof is a promising option for most commercial flat roof installations. It is the cheapest flat roof solutions that is also fire resistant. However, you cannot install it on a property that is under use and you must wait until it is vacant. The project is big and needs highly qualified roofing contractors like Roofing PBC. Rubber roofs are an excellent option for commercial flat roof installations on warmer climates. It is highly resistant to damage from the sunlight and can be installed through three processes. These include ballasting with stone, anchoring with fasteners, and gluing on. The materials is resistant to rips and scuffs, highly durable, lightweight, and water leakages are easy to patch. It could be on the higher price spectrum end because it will cost you more than the first two options. However, its an excellent choice for most property owners. Rubber membrane commercial flat roof installation is not a DIY project an hence you have to leave it to professionals. It will make sure that you get the best workmanship for the roofing of your premise.